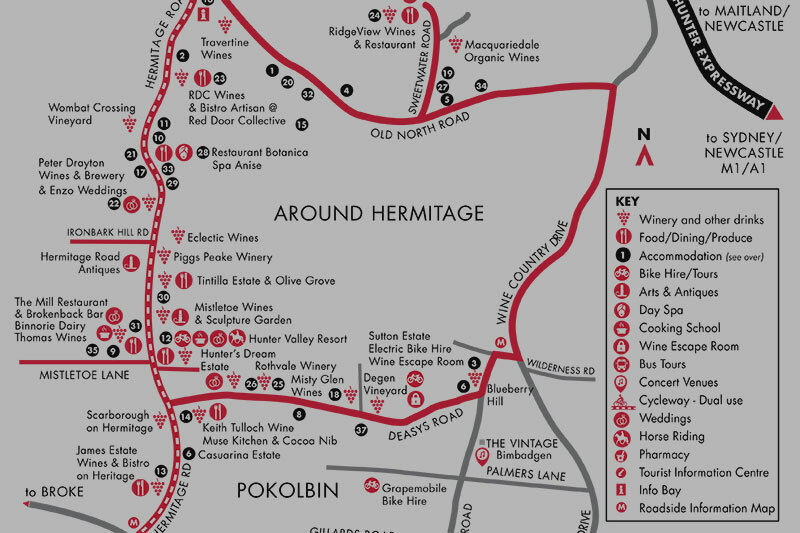 Next time you’re planning a Hunter Valley getaway, why not explore the Around Hermitage region? 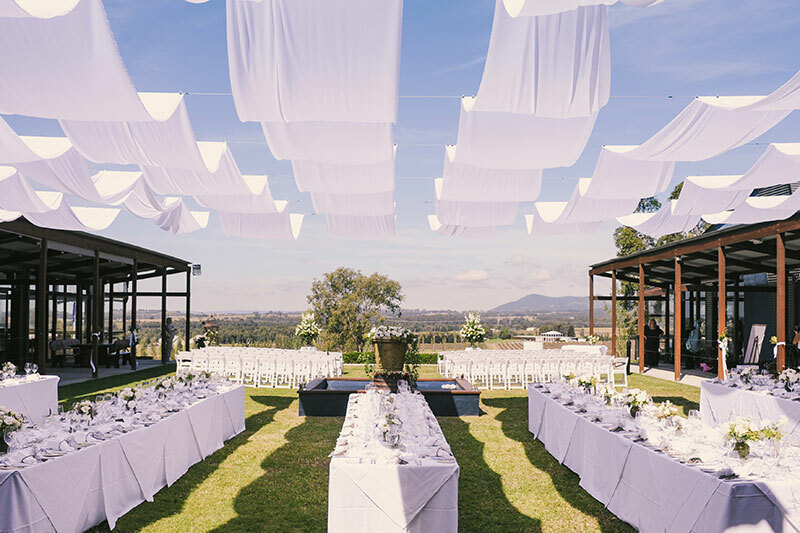 You’ll find some of the best scenery in the Hunter Valley, award-winning Hunter Valley wineries, restaurants and cafes, and even meet the wine makers at family-owned cellar doors. Relax in luxury Hunter Valley accommodation with rooms to suit all tastes and budgets. Browse through galleries and outdoor sculpture exhibitions, or attend one of the fantastic regular events. In less than 2 hours from Sydney, and under an hour from Newcastle, why not explore Around Hermitage. The Hunter Valley’s ‘Around Hermitage Wine and Food Trail’ is where matching food and wine in a relaxed setting is a wonderful experience. 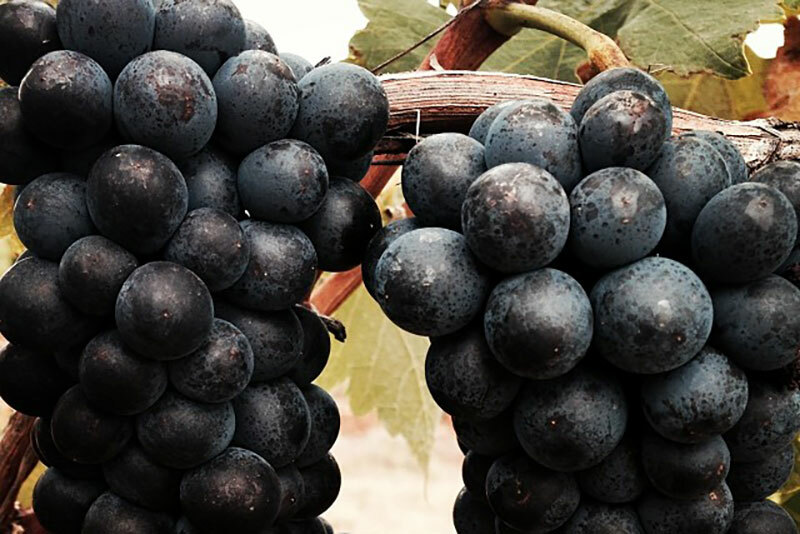 With the backdrop of the Brokenback Mountains the Trail boasts some of the best scenery and most awarded boutique wineries and restaurants the Hunter Valley has to offer. The Trail offers an art gallery and sculpture garden, antiques and locally made produce, boutique beers, cheese tasting, golf, cycling, wine and cooking schools, day spas, and wine tasting tours. 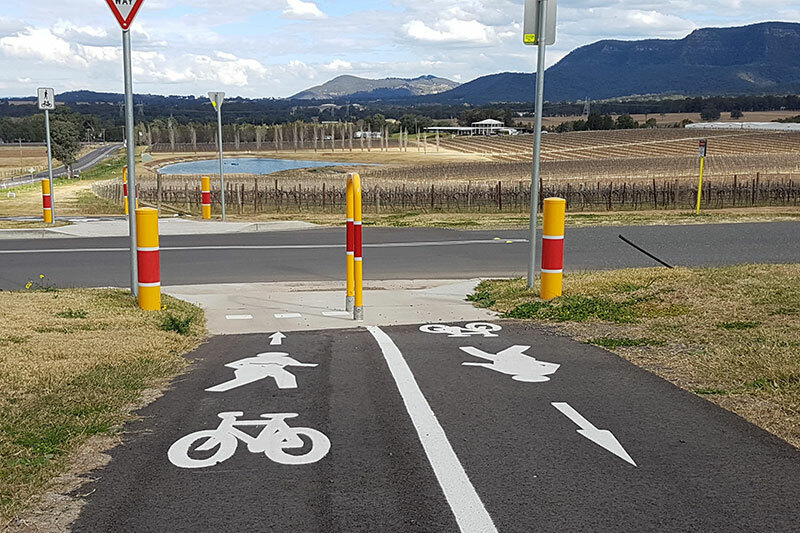 The cycleway on Hermitage Road in Pokolbin offers a great way to do a leisurely tour of the cellar doors. From resort style hotels and self-contained cottages, all within easy reach of the wineries, restaurants and concert venues. Whether you’re looking for pet friendly accommodation, family friendly, adults-only accommodation or properties for large groups, you’ll find what you need Around Hermitage.